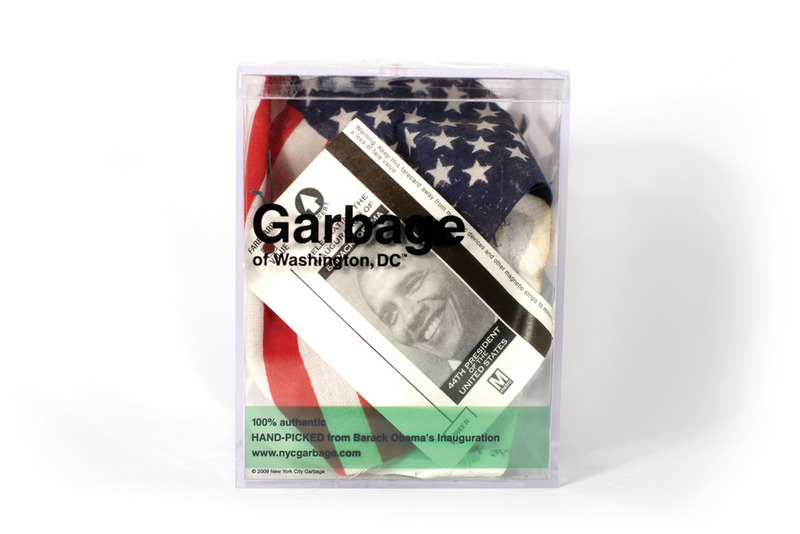 In 2001, I started selling garbage. 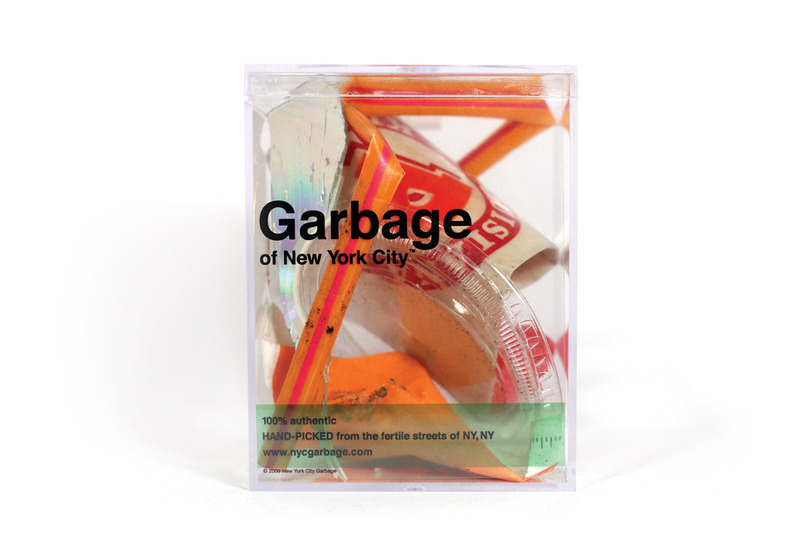 100% authentic New York City Garbage. 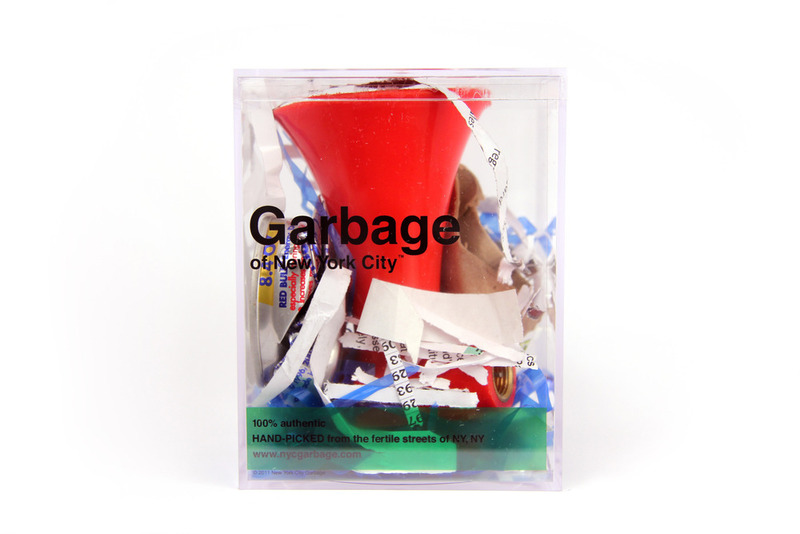 The trash is hand-picked and arranged in Lucite cubes that are signed, numbered, and dated. 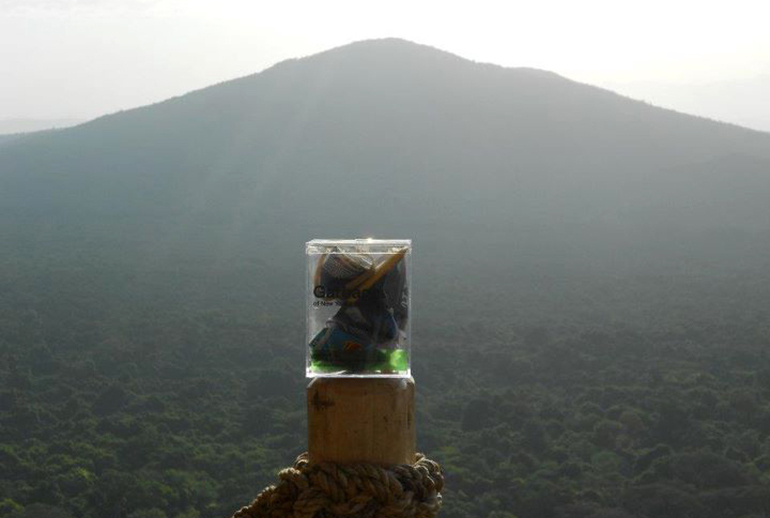 Today, more than 1,300 cubes have been sold to over 30 countries. Regular cubes sell for $50, while limited edition cubes from events like the World Series at Yankee Stadium, New Year's Eve in Times Square and the Republican National Convention go for $100. 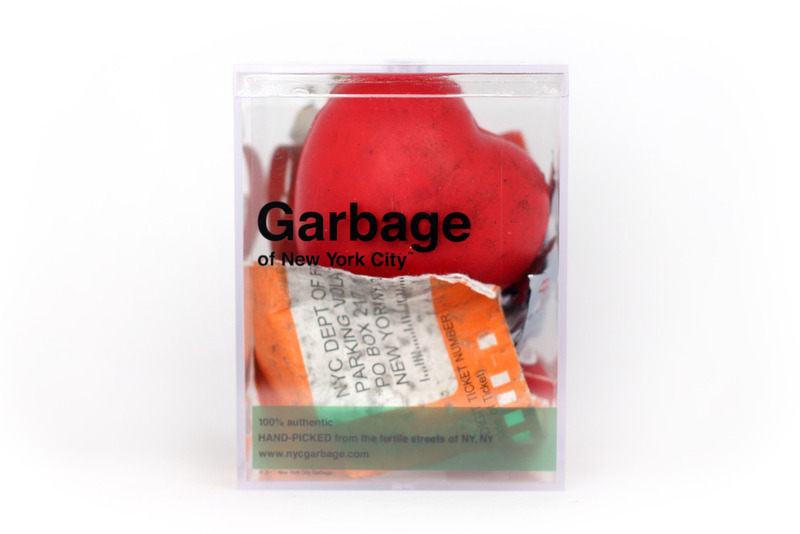 In March 2007, the first international edition of NYC Garbage was created, thanks to a commission by the organizers of the St. Patricks Day Parade in Dublin, Ireland. Custom coffee table filled with antiquated office equipment for coworking space Grind in NYC. 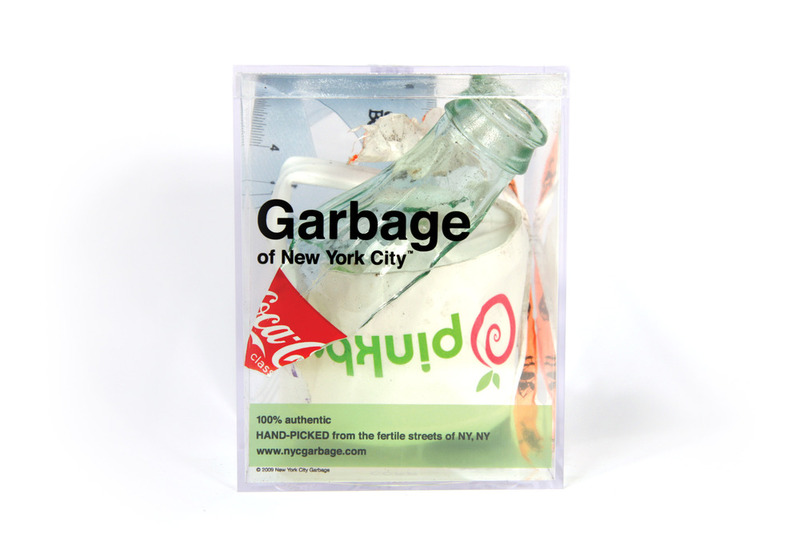 Jumbo Garbage Cube (7" x 7" x 9") for TV show "In the Qube". 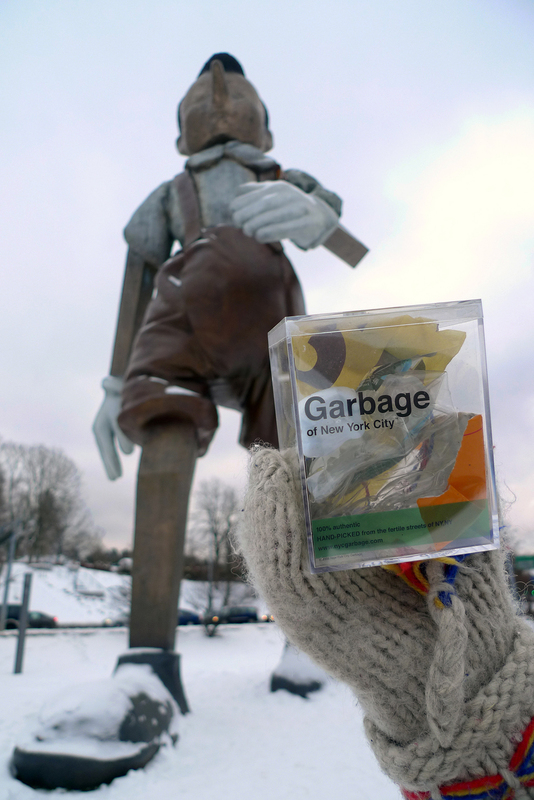 Pictured next to an original Garbage Cube.